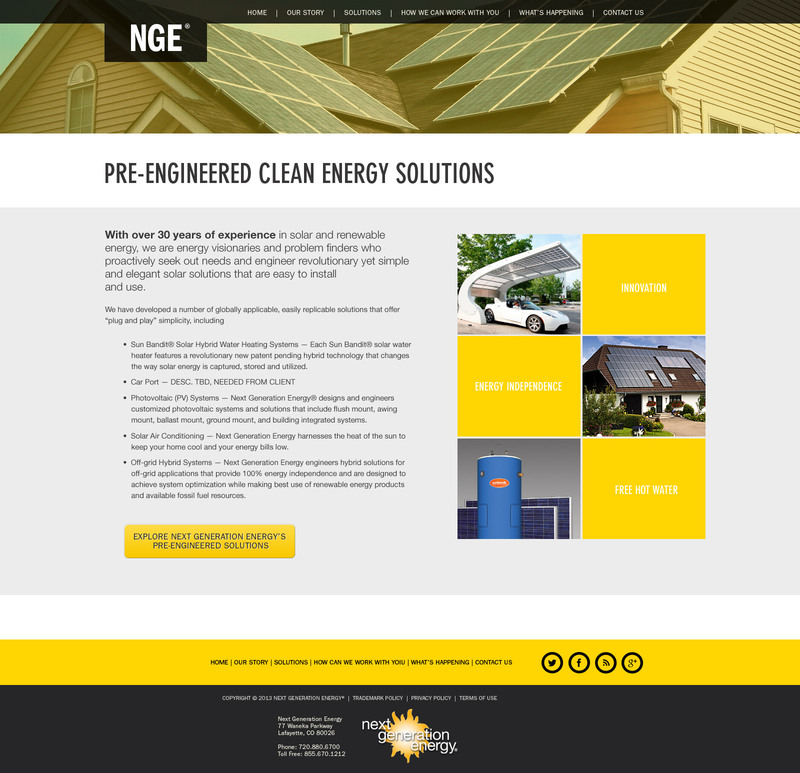 Next Get Energy redesign of website. 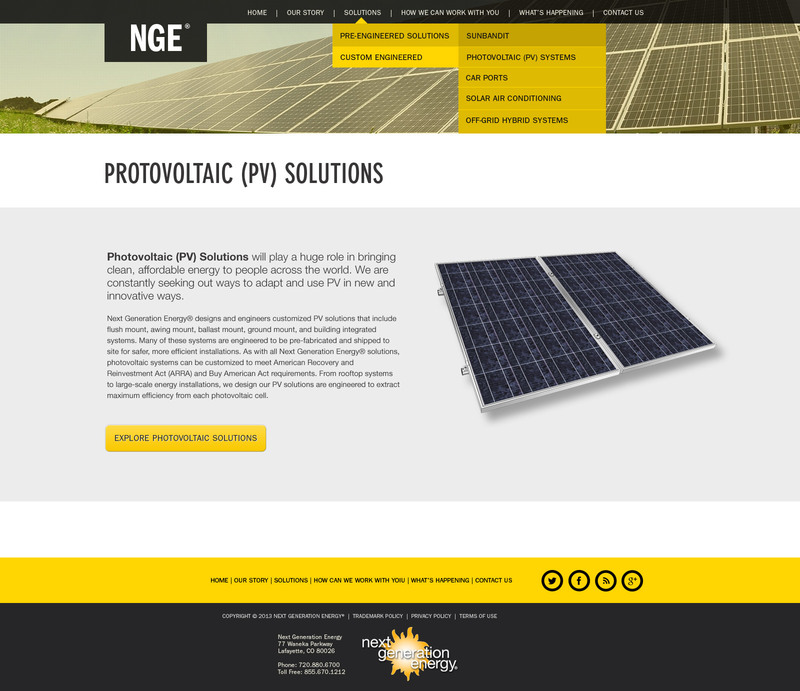 This site was redesigned to showcase some of the companies new services and product offerings. 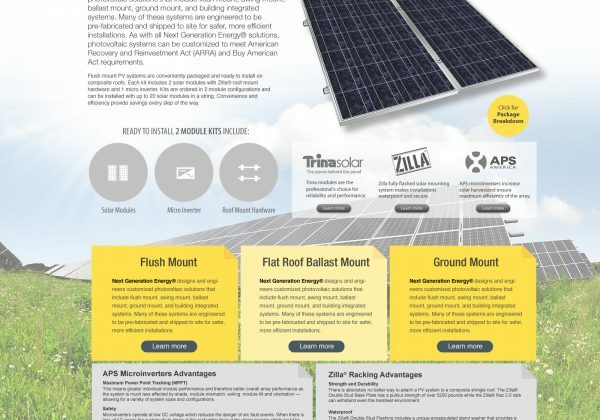 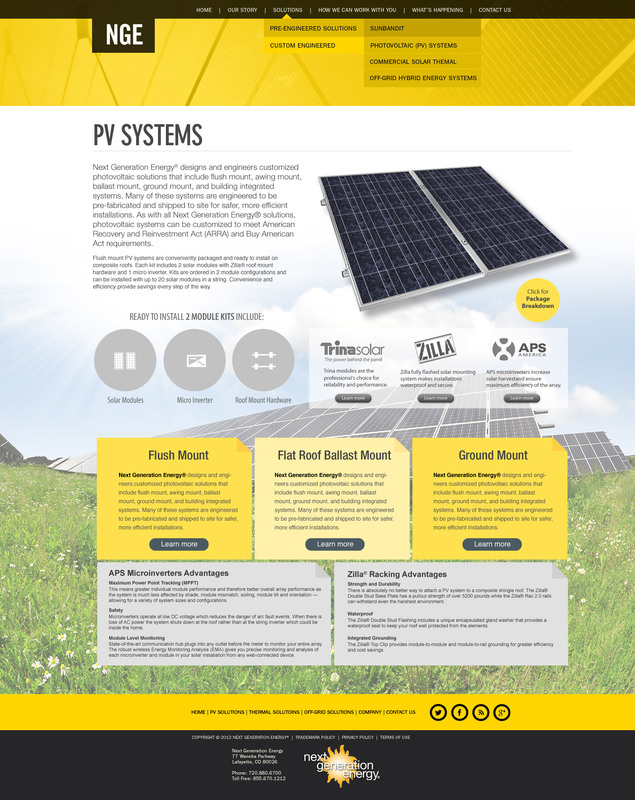 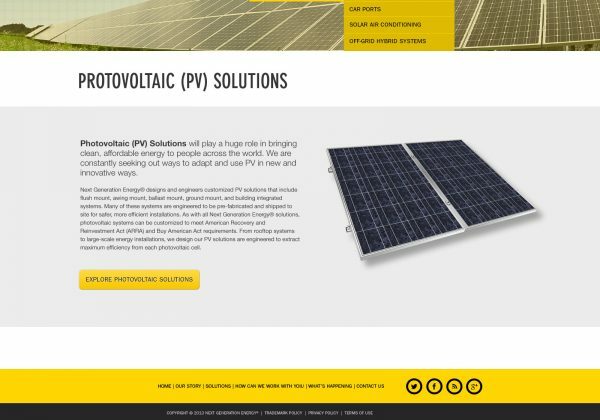 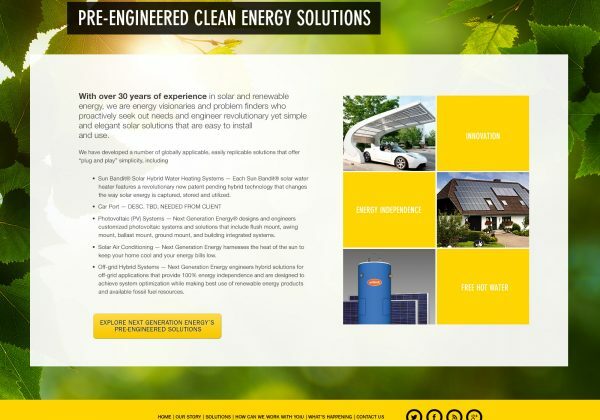 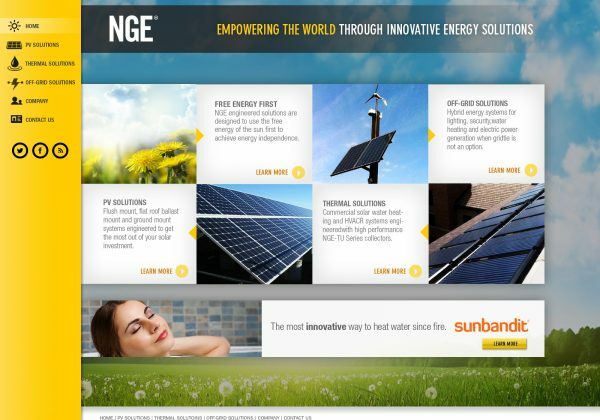 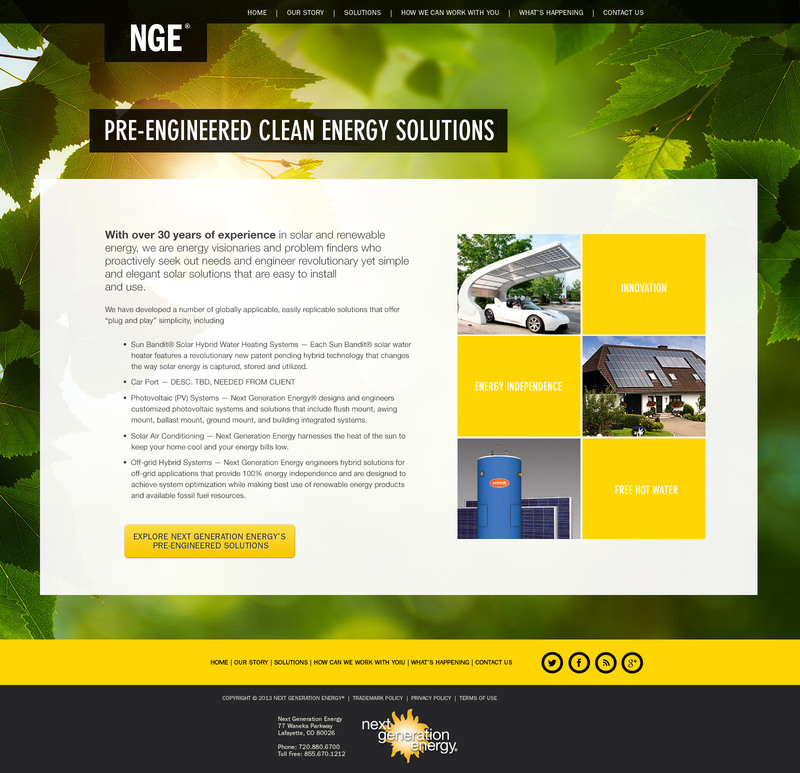 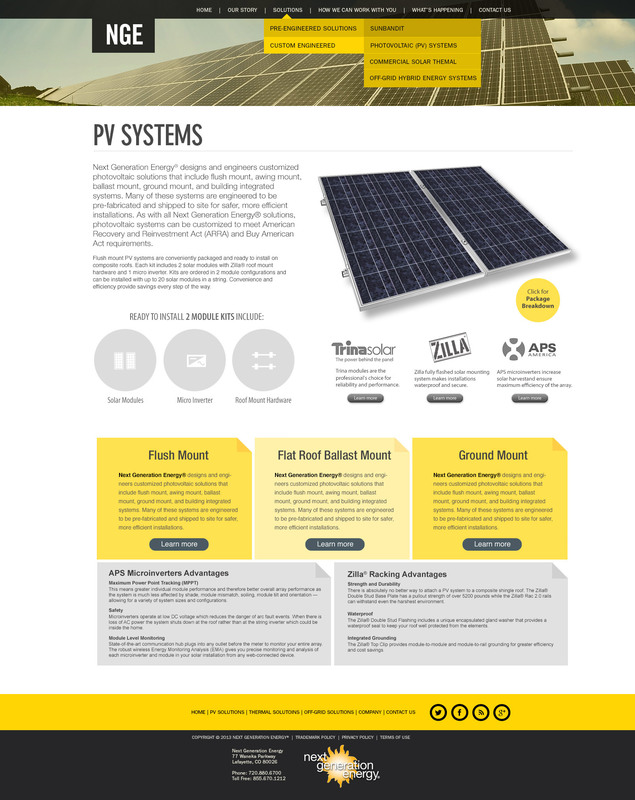 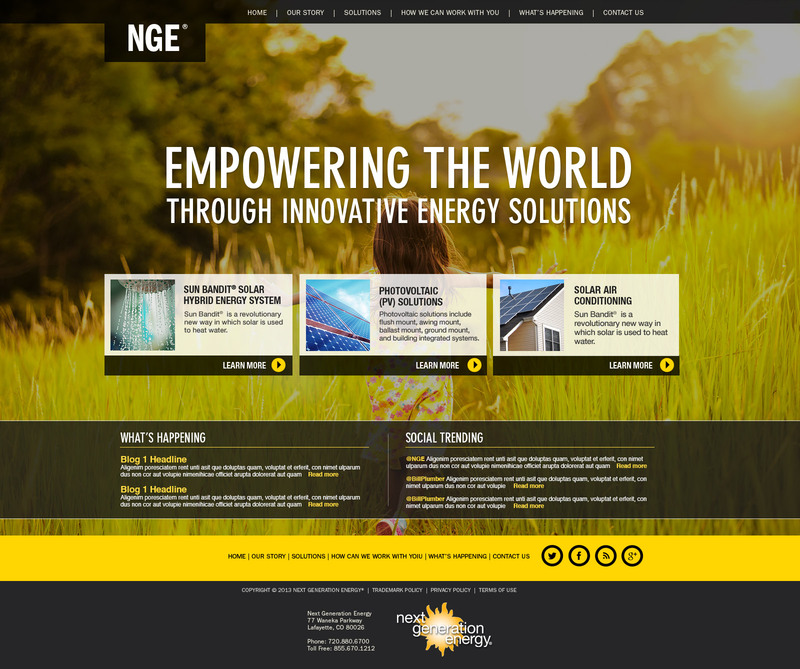 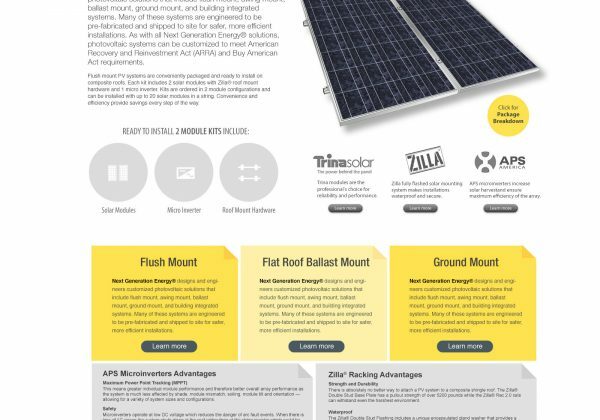 The site uses bright colors and predominantly golds, yellows and greens for a fresh and renewable energy feel. 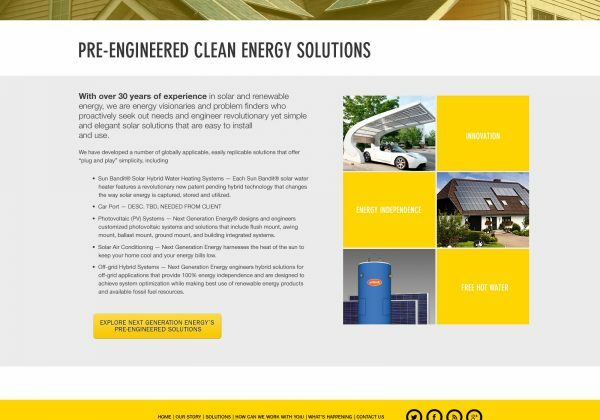 Site was designed in Photoshop and Illustrator.